Coach Springer presents these scoring drills used by NBA great Lebron James. 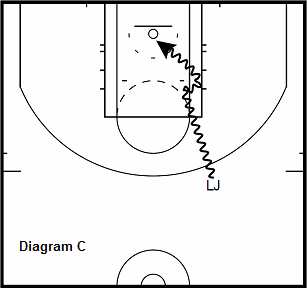 Diagram A. Lebron sets the down-screen and then pops towards the 3 point line. 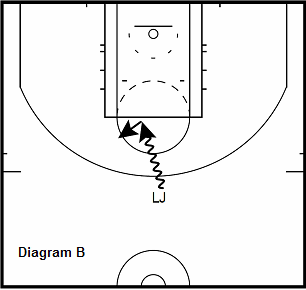 Diagram B. Lebron gets the ball at the top of the key. He attacks out of triple threat and makes a one dribble step back. 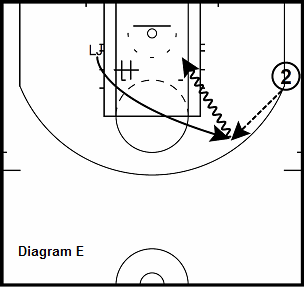 Use different fakes out of triple threat to give misdirection before attacking. Diagram C. Lebron attacks the middle with his left hand. 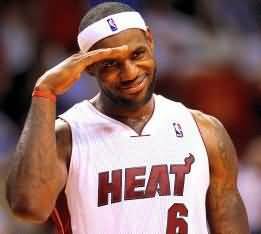 He does a spin move and picks the ball up for a lay up after being cut off by the help defense. 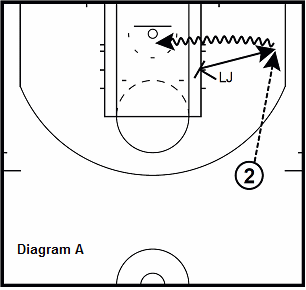 Diagram D. Lebron will take a cross screen (#) to post up on the strong side. Once getting the ball, Lebron squares up to the basket and attacks the rim with a reverse lay up. 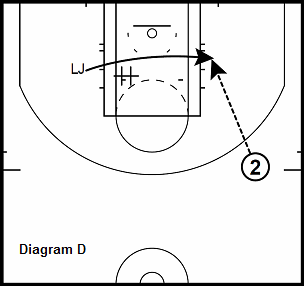 Diagram E. This time Lebron goes high over the down-screen and cuts towards the ball. On the catch he attacks off the dribble.